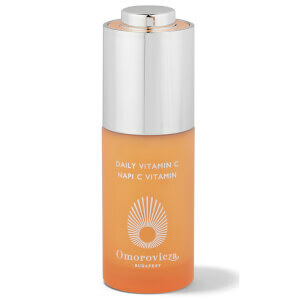 Achieve a gorgeous summer glow all year round with Omorovicza Glam Glow. A self-tanning lotion for the face and body, this gentle formula hydrates the skin whilst creating a natural golden color. Containing natural ingredients such as plum almond oil and apple pectin to restore suppleness and tone, this rejuvenating tanning lotion develops a light color after a few hours of application and gradually acquires a richer golden glow, depending on how often you use the lotion. So whatever season it is, you can always look like you’ve just stepped off the beach! Apply a small amount to face and body, avoiding the eyebrows and hairline. Wash hands after application and wait a few minutes before dressing. For best results exfoliate before application.